"This little beauty will be available tomorrow. Come down and see it in person! 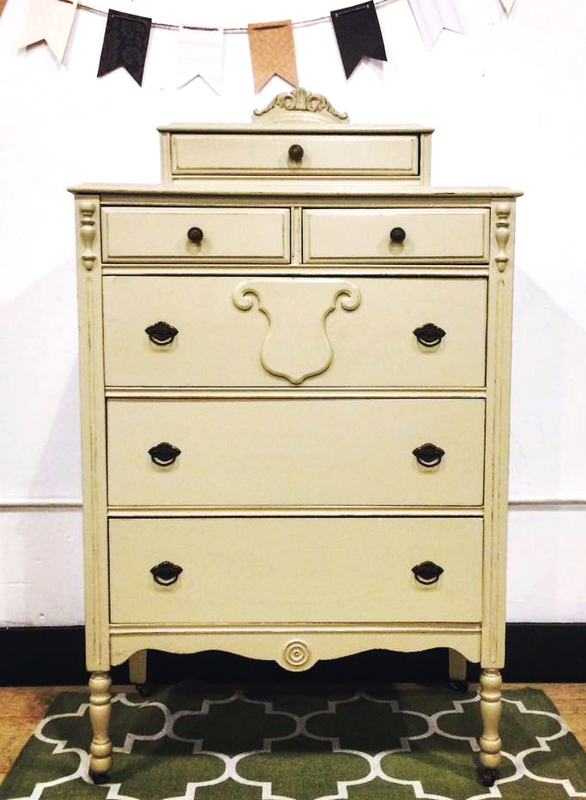 Painted with General Finishes Millstone, lightly distressed and waxed." ~ The Distressed Gentleman_ shared the sweetest Millstone makeover! What a beauty!